From rich to lucky to... psychic? If all else fails, perhaps your pet has one of the following skills to make headlines. Grumpy Cat: At just over US$100 million, Grumpy Cat’s fortune is bigger than Nicole Kidman’s, Cameron Diaz’s and even Matthew McConaghey’s. The feline’s permanent scowl, attributed to an underbite and dwarfism, has inspired two best-selling books, produced more than six million Facebook fans and even a Hollywood movie. 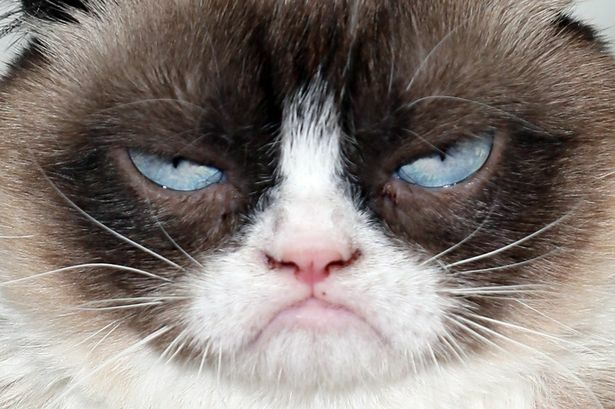 Grumpy Cat, real name Tardar sauce, first got big after a photo was posted on the social news website Reddit back in 2012. “I was able to quit my job as a waitress within days of her first appearance on social media and the phone simply hasn’t stopped ringing since,” owner Tabatha Bundesen told a local newspaper in in Arizona.